This Saturday is my 3rd (can you believe that???) 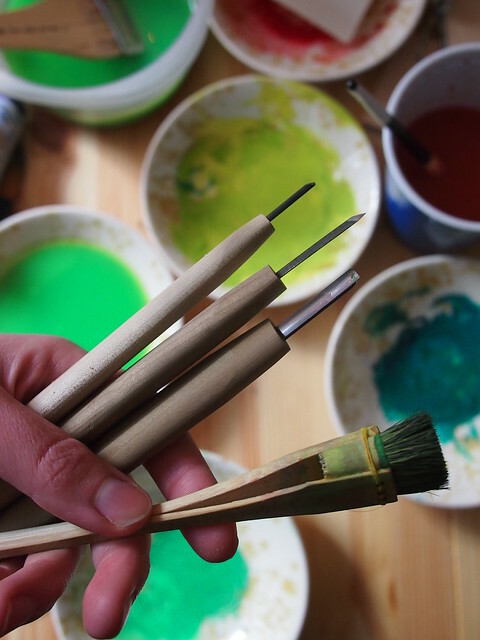 Annual Studio sale! From 10:00 AM to 5:00 PM you can pick up exclusive holiday gifts made, designed or printed by yours truly. This year there will be new prints, fabric bundles, cards, and more and so on... including Pearl Bracelet Bundles for my local peeps a select number of Constellations bundles, and other fabric packs. As well as never before seen prints! I've worked my rear off, so much so, none of my clothes fit anymore. So stop by see the new stuff and find some presents for your peeps! and park on 9th E.
can't wait to see all of you local peepers! My true self is a girl who wants everyone to be good to each other. My true self is someone who wants to give presents to everyone, all the time. My true self is alive alive alive when it is warm outside, and light at night. My true self loves the Legend of Zelda, and can not and will not apologize for it. My true self is a bit of a house cat. My true self lives to help, teach, and serve people to find truth and happiness. My truest self is at peace when I am making things. Specifically, when I am printing. I re-found that true truest self the other night as I printed this tiny edition. It's one of those things. I knew I was supposed to do it, I've known it for ages, and I've had the supplies since August, and the knowledge for quite a few years, and still I put it aside, and pushed it away, because I was afraid. I was afraid to do the one thing that I love the most, because it would hurt the most if I somehow failed at it. But that's a terrible attitude. So, when I reached the edge of my own plans, the ones I had created to avoid doing the one thing that I was supposed to do, I just jumped into it. 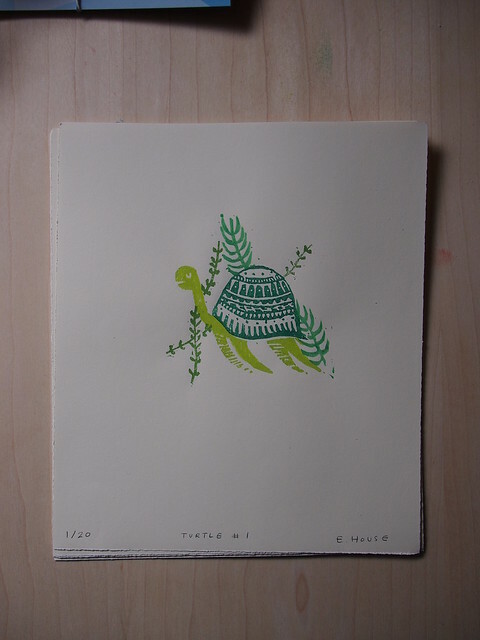 I started with this little turtle that I drew for my friend Leigh, who has been so good and dear to me. She has pet turtles, they are not sea turtles, but the sentiment is there. This turtle #1 is part of a series of 3 turtles. I printed the edition while I somewhat watched An Affair to Remember. The movie is too heartbreaking to pay full attention to it. But I too have changed my course. There is so much more to come it's crazy town. And I'm so happy about it. How are you doing? Tell me an aspect of your truest self. He's available in the shop, for you lovers of turtles or just me.